THE KEY PR — The Key's Top Wins of the Week! Introducing a new weekly series by The Key: “Top Wins of the Week!” In these posts, you’ll be able to stay updated on office happenings, SF events, and everything the Key team is up to. We will be featuring both professional and personal highlights and showcasing team members that are effectively killing the game. This weeks top wins? Keep scrolling to find out! And make sure to check in every Friday for more wins of the week! In response to the recent migrant parent and child separations on the border, our client Remitly was included in a Forbes article about how financial technology companies can help. “Historically, immigrant communities across the world have been overlooked and disadvantaged by traditional financial institutions and services. They've had to contend with extortionately high fees, little security, and limited access to the services they need to become financially stable in a new country,” said Remitly CEO, Matthew Oppenheimer. Awesome job showcasing the work Remitly is doing to Forbes, Adrianna! On Saturday, June 23rd, team members from The Key participated in the Families Belong Together Rally in downtown San Francisco (hosted by Women's March), to oppose the illegal separation of children from their parents along the U.S. border, and to show support for migrant families. Our fearless leader, Martha, spoke with reporters from ABC 7 and other media outlets to bring awareness to the cause. 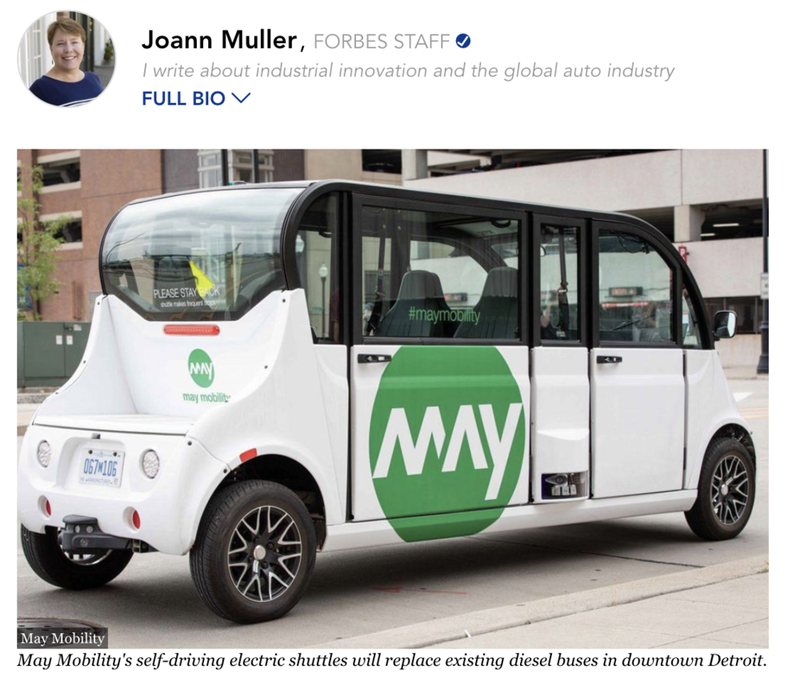 Our client, May Mobility, launched this week in Detroit and was featured in several publications including Forbes, Bloomberg, and CNET. May Mobility’s CEO, Edwin Olsen, stated, in Keith Naughton and Sarah Gardener’s feature in Bloomberg, “Our technology allows us to provide fully-managed transportation services that outperform traditional services on wait time, rider satisfaction, and other metrics...By improving the lives of Bedrock's employees and tenants, we move closer to our vision that everyone uses May Mobility every day." Great job to teammates Martha, JP, Adrianna, Mechelle, and Nicole for putting forth a group effort!